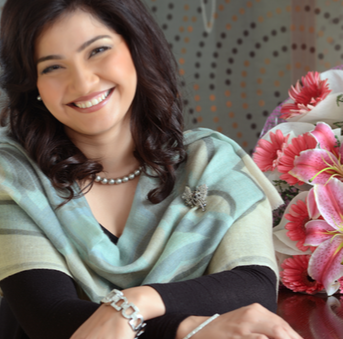 Sidra Jafri is an author, medium and facilitator who uses her gifts to improve people's lives; her book, The Awakening: 9 Principles For Finding The Courage To Change Your Life, was launched recently and Sidra writes some insights. Ever had a set back and thought you're unlucky? People believe that luck is outside of them; whenever anything happens, luck is blamed, which becomes a perpetual cycle. The more unlucky they feel, more events happen which reinforces their bad luck. 1) The truth is that we never get upset at what happened, but at what we think should have happened. By Accepting that everyone who was involved had free will and made a different decision to the one you wanted, you will stay open to luck! 2) Release all the negative emotions that keep you stuck in your current reality. Forgiveness is about releasing the judgement so that the energy can flow freely; imagine all the negative feelings leaving your body (energy follows thought). So things you think about, you bring about! 3) What you Appreciate, appreciates you; focus on what you already have and attract more of it. In order to appreciate, write a list of 10 things that you appreciate everyday. The more you believe ‘everything is energy’, the more aware you are of the power of thought which becomes emotions which dictates actions and result in creating destiny.